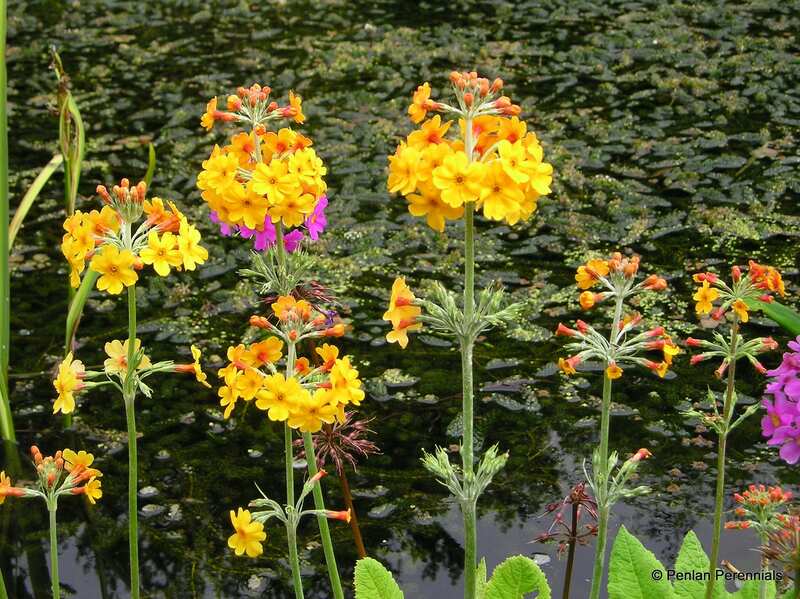 This lovely species of candelabra primula has whorls of orange flowers on tall stems, opening from the bottom upwards. 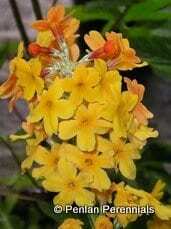 It really needs wet or boggy soil to do well and performs best in a sunny spot, although will tolerate some shade. It seeds about happily and will cross-hybridise with other primulas, giving you a range of colours and shades. Primulas are particularly effective near water. It was discovered in the same mountain range and in the same year as Primula beesiana, by George Forrest (1906 Yunnan). AGM. Hardiness rating H7. Tidy the old foliage in autumn. Seedlings will often appear around the plant the following spring or you can collect and sow seed. © 2003 - 2019 Penlan Perennials. All rights reserved.